Your first Physical Therapy appointment. What to wear and what to expect. The following is a list of Frequently Asked Questions. If your question is not answered here, please call 212-759-2282 or email us at info@spearcenter.com. What do I need to wear for my initial appointment? Wear comfortable, loose-fitting clothing and a pair of rubber soled sneakers. Every treatment course begins with a comprehensive evaluation. Should I bring any X-rays and MRI reports with me? Yes, please do. Although we can request these from your doctor or lab facility, it is better if you provide them for us during your first visit so that we can perform a more complete and accurate evaluation. You will be asked to fill out some basic paperwork, so don’t forget to bring your prescription for physical therapy. We perform various types of treatments, and will customize a program combining the best techniques specific for your particular injury. The modalities and techniques we use include soft tissue massage, joint mobilization, electrical stimulation, stretching, therapeutic exercises, and ice. The treatment program will be performed in a private treatment room as well as a gym setting using a variety of athletic and rehabilitation equipment. What type of equipment do you have on the premises? Because we focus on rehabilitation as well as performance enhancement, we have a full gym on the premises, including a variety of equipment intended solely for rehabilitation. At the SPEAR Center, you will always see the same physical therapist that you start with, except for special circumstances such as scheduling difficulties or special diagnoses. Generally, your initial visit will last over 1 hour since the therapist will need to evaluate your condition, provide treatment, and give home instructions. Following visits may last from 45 minutes to 1 hour depending on your injury and level of activity. Most prescriptions and treatment schedules are for 2-3 visits per week, but this will vary based on your condition and physical ability. 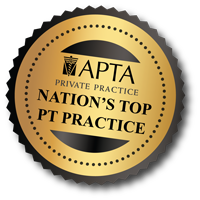 Physical therapy sessions typically last an hour. Treatment plans usually are from 6-12 weeks with periodic re-evaluations and regular follow-up visits with your doctor.